The Social Security Administration has added an extra layer of security for individuals when they interact online using the “my Social Security” suite of services. The my Social Security feature is a section of the Administration’s website that allows you to create an account and view your contributions to your retirement and disability account, as well as estimated payments if you become disabled. All account holders are required to use their cell phone, in addition to their username and password, as an additional authentication factor during online registration and for each log in. Now, all new and current my Social Security account holders will need to provide a cell phone number that is able to receive text messages. People will not be able to access their personal my Social Security account if they do not have a cell phone or do not wish to provide their cell phone number. The Administration expects to provide additional options in the future, dependent upon the requirements of national guidelines which are currently being revised. One of the most important thing about Social Security disability benefits is payments to qualified family members. It is also one of the important distinctions between SSI and Social Security disability: only workers who have paid taxes into the system are eligible for full family coverage. A family member may be eligible for a monthly benefit that is up to 50 percent of the worker’s disability payment. There is a limit to the total amount of money that can be paid to a family on one Social Security record. The limit, known as the family maximum, is between 150 and 180 percent of the primary worker’s disability benefit. This is true whether or not the spouse actually depended on the worker for support. Family benefits are not paid to SSI applicants, although a disabled spouse or child may be independently eligible. – An eligible child can be a biological child, adopted child or stepchild. A dependent grandchild may also qualify. There are complicated rules for children of common law marriages and illegitimate children, eligibility here may depend on state law. – An ex-spouse over 62 may qualify if the marriage lasted over 10 years, and there is not eligibility on another record. This has no effect on the amount of benefits the worker’s current family receives. – The Social Security program also pays benefits to adults who have a disability that began before age 22. These adults are paid regular disability on a parent’s Social Security earnings record. A child may have drawn SSI benefits until the time a parent retired, became disabled or died. This benefit comes into play after one of these events, and is important – it can take a disabled adult out of the vast asset restrictions of the SSI program. – Children can qualify separately for SSI if they meet Social Security’s definition of disability, and if their family’s income and assets fall within the eligibility limits. If you have any questions about these benefits, or about any point of Social Security law, please call us for a free consultation. We have seen cases where the application for family benefits is not automatically entered when a worker applies for benefits, and this can reduce the back benefit payments paid to families. Let us help you get all the benefits you deserve. Your eligibility for Social Security Disability (SSD) benefits may be affected by your citizenship status or where you live. Most SSD recipients are American citizens, either living in the United States or abroad. However, non-citizens who are permanent residents and have paid taxes into the Social Security system for the required amount of years are eligible for Social Security disability benefits, as are non-citizens who are veterans or active duty members of the U.S. military. 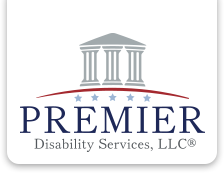 If you are neither a citizen nor a permanent resident, you still may be entitled to receive SSDI if you can show that you are lawfully present in the United States and meet certain other criteria. (8 U.S.C. § 1611(b)(2)). Most foreign workers in the United States are covered under the U.S. Social Security program and can potentially qualify for disability benefits, even if they are not citizens or permanent residents. Federal law generally requires that all workers pay Social Security taxes, and therefore be covered under Social Security Disability Insurance (SSDI) for services performed in the United States. This is true even if they are nonresident aliens or employees who work here for short periods. There are a few exceptions. Some nonimmigrant foreign students and exchange visitors temporarily working in the United States may be exempt from paying Social Security taxes and therefore would not qualify for disability benefits under SSDI if they became disabled. Additionally, to receive SSI payments, you must reside within one of the fifty states, the District of Columbia, or the Mariana Islands – individuals living in Puerto Rico, Guam, the Virgin Islands, or abroad may not receive SSI payments. You also cannot receive SSI while in prison or jail, and are not entitled to retroactive pay for that time. If you are considering applying for benefits but are not sure whether you qualify, please contact us for a free case evaluation.